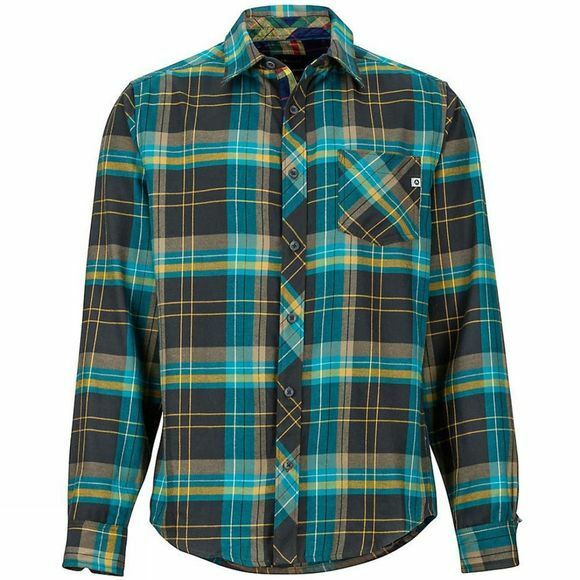 The Mens Anderson Lightweight Flannel Long Sleeve Shirt from Marmot is made with the moisture-wicking and quick-drying Coolmax EcoMade technology that will keep you warm and dry on and off the trails. UPF 50-rated double-brushed fabric blocks the sun's harmful ultraviolet rays and will dry twice as fast as cotton. 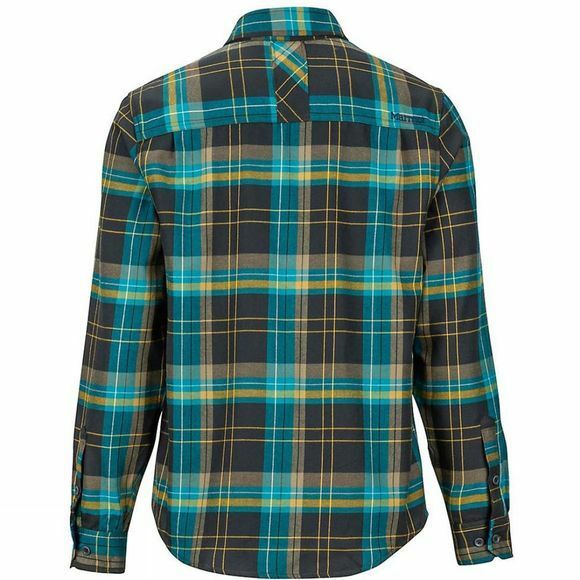 Made from recycled Marmot Upcycle Product, this shirt reduces environmental impact, meeting Bluesign environmental standards.